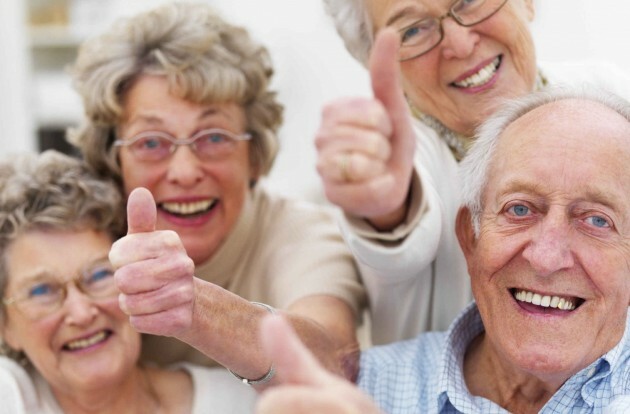 Are you looking for a place where you can get cheap dentures in Santa Fe? Perhaps you’ve already been told by your local dentist that you need dentures, or maybe you’re sure you need them but haven’t wanted to spend the money on a dentist yet to get a confirmation. In any case, it doesn’t take a lot of searching to learn that cheap dentures in Santa Fe are hard to find. According to a national survey, the average cost of dentures in Santa Fe is between $1,791 and $1,918 if you don’t have insurance. If you do have insurance, then dentures in Santa Fe are still quite expensive at somewhere between $895 and $959 (depending on whether you need partial or full dentures). 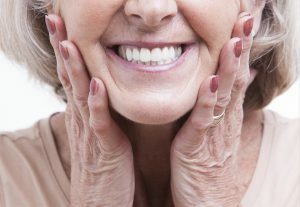 Since dentures typically need to be replaced every 5 to 10 years, this translates to thousands of dollars over time. But the high cost of dentures in Santa Fe doesn’t mean you have to live in pain or find creative ways to chew. You have another option you may not have realized. You can decide to cross the border into sunny Mexico and join tens of thousands of other Americans in the practice of dental tourism. 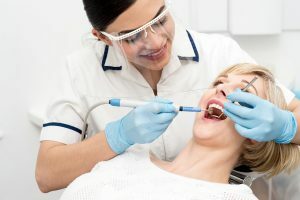 Dental tourism has become very popular over the last 20 years, especially for seniors who are often on a fixed income and can’t afford the high prices of dentures, crowns, and implants in the U.S.. 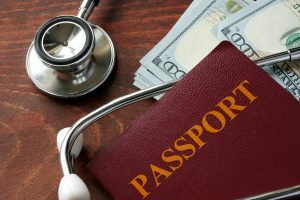 It involves leaving your home country to seek low cost dental treatment in places like Mexico, Thailand, and India, where dental procedures are the same quality yet far less expensive. Seniors are flocking to Mexico for dentures. In Mexico, you can get cheap dentures for less than half the price you’d pay in Santa Fe. Just how cheap are the dentures in Mexico compared to dentures in Santa Fe? Partial dentures start at $600 and full dentures cost about $1000. If you need a full set of dentures and you don’t have health insurance, you’ll save over a thousand dollars! And, since you’re already living in Santa Fe, you won’t have to spend a lot of money on travel and lodging expenses. And why are dentures so much more affordable in Mexico? 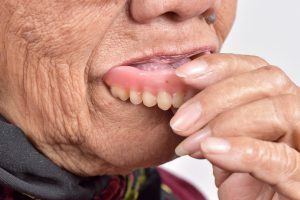 Dentures are so much cheaper in Mexico for several reasons. First, the overall cost of living in Mexico is much lower than Santa Fe. Second, dentists in Mexico have lower salaries because they don’t have to pay off student loans (dental school is subsidized by the Mexican government). Finally, the overhead cost of running a dental clinic in Santa Fe is astronomical compared to the cost of running a clinic in Mexico. Americans are accustomed to top of the line furnishings, beautiful decor, and several dental assistants or hygienists. In Mexico, the furnishings and decor is minimal. Neither of these things will affect your care. Also, the dentist will perform most (or all) of the procedures him or her self. Lower cost of living, no student debt, and lower salaries in Mexico are why they are much cheaper than the U.S.
Perhaps you’re wondering about the safety or practicality of traveling to Mexico for affordable dentures. It’s always good to be concerned and to want to be prepared, but the fact is that dental care in Mexico is just as safe and professional as it is in the U.S., as long as you know where to go and which dentists to use. Mexican dentists receive the same level of training for their practice as dentists in Santa Fe. The equipment and materials used to make low cost dentures is the same as dentists in Santa Fe. But it’s important to do a lot of research to find the right cities to visit (that are safe for dental tourists) and reputable dentists. Unfortunately, due to the huge influx of Americans coming to Mexico for dental care, there are a lot of “pop up” dental clinics that are neither safe nor reputable. The best way to guarantee that you’re working with a highly trained and skilled dentist in Mexico is to work with a dental referral agency. These agencies work with only the best dentists in the safest areas. At Beyond Borders Dental, we only work with dentists in Mexico that caters primarily to American dental tourists. We vet all of our dentists and forge trusting relationships with them. When you work with us, we’ll take care of all the details for you and our services are always free to our clients! Are you interested in learning more about how you can get low cost dentures in Mexico? Contact us at (505) 738-7770 or ask for your free price quote. We are not sure what your question is about transportation from Albuquerque but here is what most people want to know about our shuttle services. The fee for our concierge shuttle service is $295 (round-trip). This includes one night in our partner hotel (taxes and breakfast included). Our van starts at The Lodge at Santa Fe, 750 N. St. Francis Dr. in Santa Fe. We also have a pickup/drop-off in Albuquerque at The Nativo Lodge, 6000 Pan American Freeway NE, near I-25. For additional information please visit our How Our Services Work page. To see our scheduled trips, please visit our Concierge Schedule page.